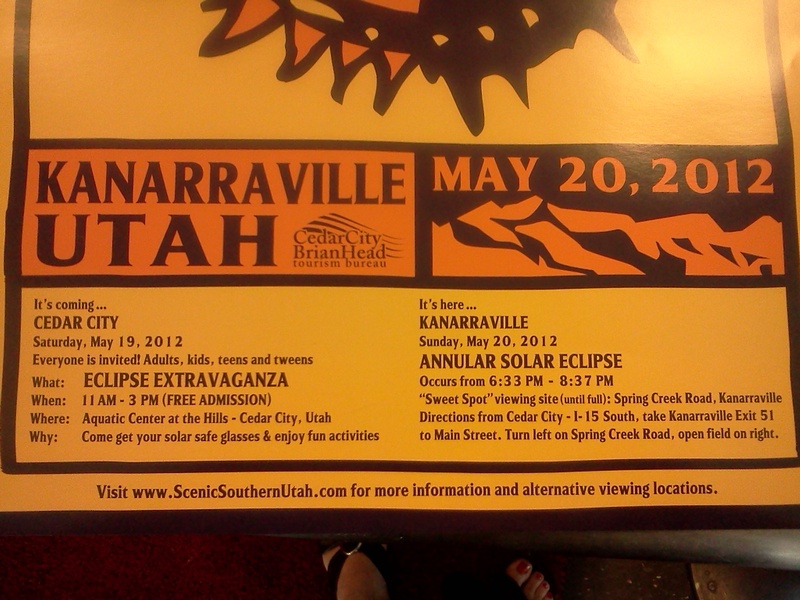 The annular solar eclipse is THIS Sunday! Have you bought your glasses?! Are you ready? Here is some information from the Salt Lake Astronomical Society on best places to view the eclipse, if you are traveling down to Southern Utah.